The blades on the Gardena Battery Grass and Shrub Shears (left) can be replaced without tools. The SlimCut Pruning Loppers (right) are the ideal tool for thinning out dense bushes and shrubs. 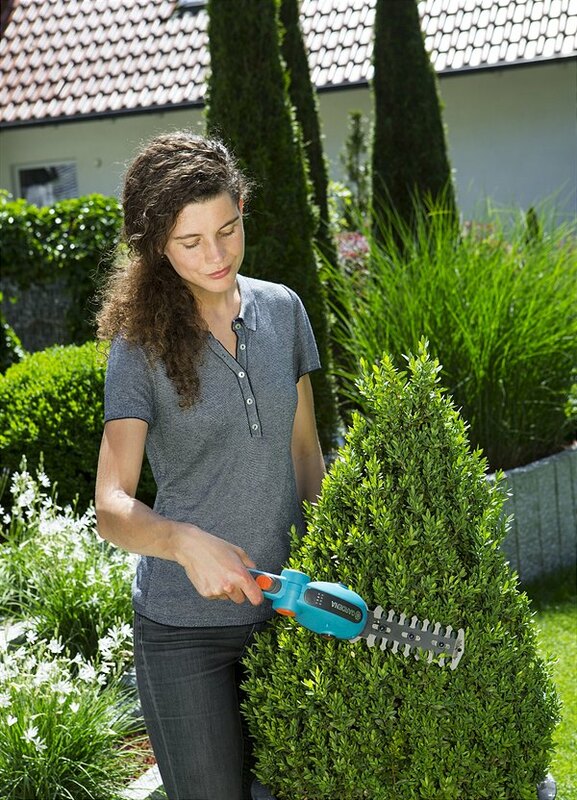 The Battery Hedge Trimmer EasyCut Li (at bottom) convinces with its accurate cutting results. It is particularly lightweight and powerful.